Voltage Rating 250V. 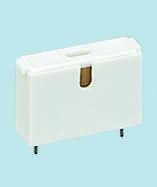 Upright-mounted space-saving PCB fuse holder. 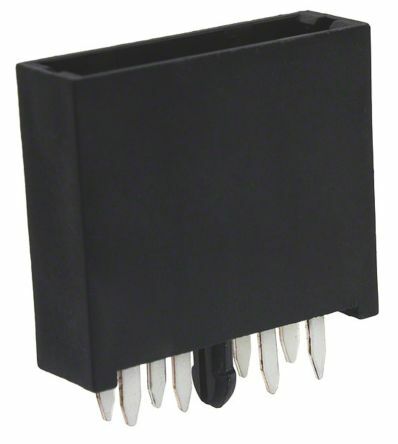 PCB insertion terminal has 3-leg structure, enhancing mounting strength. Operating part can be exposed from panel for mounting. Voltage Rating 250V. Printed circuit board fuse holder. Built to protect against electric shock. Fuse clip protection mechanism. Fuse tube can be mounted or removed at a touch. No specialist tools required. Opening for blowout confirmation. 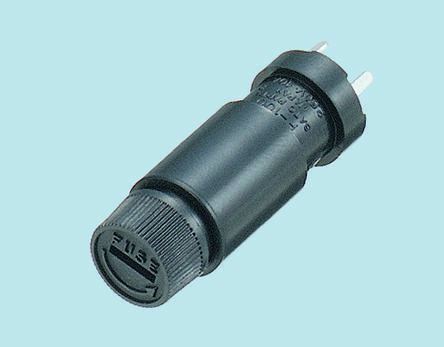 Suitable for popular automotive type blade fuses to fit ATO fuses, max. current 30A.Low resistance heavy duty leaf spring contacts8 solder pins with central mounting spigot providing exceptional mechanical rigidity and excellent heat transfer allowing fuses to run cooler.